Things To Do In Dublin Ireland has the best of both a small town and cosmopolitan city. It has the great easy going people you can only find in small towns, but the variety of nightlife you only find in big cosmopolitan cities. You can easily spend a week here strolling around, talking to people and enjoying the ‘happenings’ in town – which seems to be every day. There are heaps of things to do in Dublin, both for those who enjoy pub culture as well as literature and history. Perhaps you’ve been to Ireland before or maybe you are planning for what will be your first visit. How do you plan a trip to Ireland? With it’s amazing countryside and friendly people, you won’t want to leave. Use this Traveling to Ireland section to maximize the time you will get to spend in Ireland. Learn about Dublin, Ireland’s largest city, which also happens to be the capital. You’ll also find useful information about other cities in Ireland. Get a glimpse into Ireland’s culture, including arts and literature. Learn about Ireland’s history and where to go to see the iconic historical sites in Ireland. You will get hungry reading about Ireland’s infamous cuisine and where the locals go to eat. Be sure to read about popular Irish holidays and customs. Enjoy planning your holiday to Ireland with this easy-to-follow Traveling to Ireland section. The medieval part of Dublin dates back to 11th century, and is a nice part of town. Bring a picnic or buy some takeaway food, join the locals down in St Patricks park and watch time fly by on the clock of the beautiful St Patricks church. Christchurch cathedral is also located in the medieval part of Dublin, it’s a really old cathedral, founded in 1030 it is one of the oldest buildings in Dublin. It costs 7 Euro to go inside, but there are free concerts quite often which are worth a visit. Pub crawl is very popular in Dublin, but you don’t have to do it with an organised tourist group. Locals do it every weekend along the Golden Mile. The real name of the street is “Victoria Street”, but it has been nicknamed “The Golden Mile” because there are countless of bars along the street, and it has become somewhat of a local tradition to try to drink at every pub in one night. Few people have ever made it to the end of the Golden Mile: will you? Alcohol is an important part of Irish culture, and the tour of the Guinness Storehouse is the most popular thing to do in Dublin. If you’re a big fan of beer or Guinness this is definitely worth a visit, and for the 15 Euro entry you get a free Guinness to enjoy with the best view of Dublin. Jameson’s Distillery which produces the Irish Whiskey also has tours for visitors, and they cost around 13 Euro. However, those who aren’t very interested in beer and Guinness often don’t think it’s worth the entry fee. We didn’t go there ourselves for that reason, but thought it would be good to mention it since it’s so popular. 50% of the population in Dublin are under 25 years, in other words, there are a lot of students in this city, and Trinity College is the most sought after place to study. This is for a good reason, as this college educated some of the most famous Irish people ever – Samuel Beckett (winner of the Nobel Prize) and Jonathan Swift for example. It’s a beautiful college with amazing buildings, and the old library (where you’ll find the book of Kells) and a sports arena where they often have games. Because there are so many young people living here many of the things to do in Dublin are perfect for a younger crowd. They serve big portions with the thickest french fries. Outside their door is a long list of hundreds of celebrities who have all bought fish n chips from there – be one of them! This restaurant have a really cool interior designs a la 50’s style, with a jukebox and everything – who doesn’t want to have their burger in the 50’s?! This place sells Irish traditional food. Their Irish style pancakes with filling are awesome, around 16 Euro. A visit to George’s Arcade is a fun thing in itself. You’ll find stalls selling lots of fun things like hand painted converse shoes, and, best of all – the best cupcakes ever. Lolly and Cooks is a little stall there which specializes in cupcakes. They cost about 2,5 pounds each (box of 6 for 12 pounds) and come in all colors and flavors. Many pubs and restaurants will blow your food budget, but this little take away show sells noodles for 4.50 and spring rolls for 2.50. The Irish are as crazy about sport as the British, this place gets packed with sports fanatics and a great atmosphere whenever there is a game on. 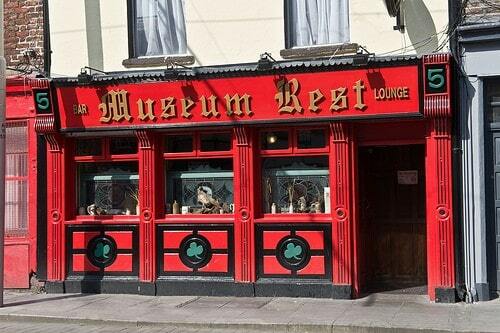 this is the oldest pub in Dublin, which is worth a visit for that reason only. Quirky pub with live music, great people and fun interior and things hanging on the wall to look at. With all its pubs Dublin can easily blow your budget, so it’s good to know where to get the cheaper things in the city. If you need some cheap clothes Penny’s is where you should be headed. It has really nice clothes for a good deal. If you want to bring some beer to the hostel, Londis is the place which has the cheapest beers. Camden Casket is a shop selling everything you need and don’t need. Toiletries, drinks, candy, underwear, can food etc. It’s all found here, and often for a quarter of the price. Times Hostel at Camden Place offers some great accommodation in a perfect location. The rooms are cozy and clean with private bathrooms, and there is a big kitchen with all tools you need to cook your own food. The staff are very friendly and easy going, you can ask them about anything and they’ll try their best to help you out (plus free calls!). The best thing about the hostel however, are all the events they have during the week; pancake Mondays, pub crawls, pool competitions, ice cream days etc. There are many destinations that will burn a hole in your wallet and make you cringe just from the thought of what you just paid for your dinner. Fortunately, there are also heaps of budget friendly destinations, even in Europe – and Ireland is one of them. We found Dublin to be easy to get around on a budget, as there is a lot of everything there: bars, restaurants, attractions, hotels etc. which means that there will always be some great budget choices. There are also a lot of budget airlines that fly there so getting a cheap ticket won’t be much of a problem either – we got a flight there for just €10 each..! 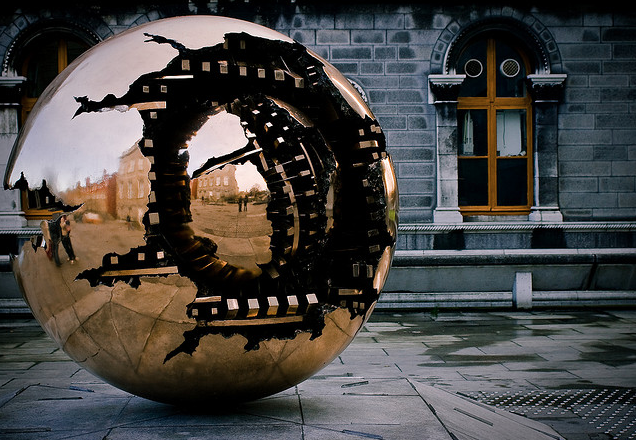 There are quite a few free or very cheap attractions in Dublin that are worth seeing. First, you must visit the Trinity College, a beautiful University dating back to 1592. Walking around the temple grounds is free, and you can step inside the beautiful main entrance for a closer look. If you do feel like you can afford to pay a bit extra, for €9 you can visit the famous Book of Kells at the university’s incredible library. Not that you’ve ever been interested in post offices, trust us when we say this is different. The general post office is one of the most significant places in Irish history. It was used as a fort by Irish rebel troops when fighting the British for independence, and stands as an icon for the failed 1916 Easter Rising. The building has since been restored, but you can still see bullet holes in the walls. Other free attractions: St Patrick’s Cathedral, North Bull Island. 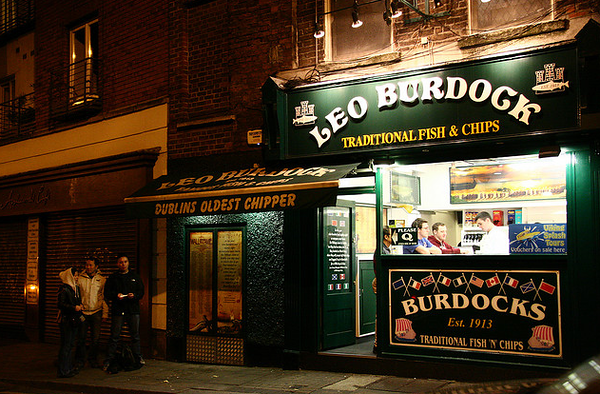 There are a lot of cheap lunch deals to be found in Dublin, but our favorite stop was the famous Fish n Chip shop “Leo Burdock”. U2, Naomi Campbell, Bruce Springsteen, Tom Cruise and Snoop Dogg (or now Snoop Lion) to name but a few..! A tip is to visit one of the many markets, like the “Crashes Into” farmers market which has turned into a food vendor market with lots of cheap eats, perfect for lunch. Bars are an important part of Irish culture, and while today there is an Irish bar in just about every city on earth, there is nothing that comes even close to the real deal. But before you sing along and dance to traditional Irish live music with a Guinness beer in one hand – get a better understanding of the favorite beer at the Guinness Storehouse. For €16, it’s not a cheap attraction, but it’s not difficult to see why it’s the most popular one of all. At the brewery you will learn the history and cooking secrets to the beer, and get a free tasting by the end of the tour. Finish the evening with a bar crawl. You don’t need to join a group, just head out with your friends and go from bar to bar, pub quiz to live band to poem competition. Bars: Brogan’s Bar, Stag’s Head, Brazen Head are three of hundreds of good bars. Hope you have a great time visiting Dublin! After having spent a few days in Dublin, we left with many memories and impressions of the city. Dublin was such a wonderful city, full of colorfully bright doors, pubs & friendly people. This was the first time both of us were in front of the camera together, so it really was a throw-yourself-in-the-deep-end kind of experience. In Dublin, we found the locals very talkative and easy going. If you stand next to someone at a bus stop you can be sure to know their life story 10 minutes later, which when we mentioned this to a local girl she completely agreed. 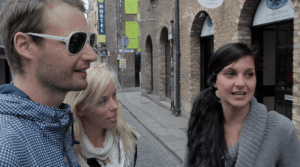 Apparently (according to a guy we met in London), the Irish people have a rumor of being rude and weird. We did not find that true at all, but we suspect that their rumor might have something to do with Britts and Irish in particular. I’ve never been in a city with so many pubs! We saw more pubs in this city than there were shops. Nobody knows how many pubs there are here, but it would definitely take you years before you’ve visited them all. Our friend Anna who has been living in Dublin for over two years still hasn’t been to all of them, despite going out practically every night. The Golden Mile is a nickname given to Great Victoria Street, which is a long street jam packed with pubs. It’s called the Golden Mile because few ever make it to the end of the street – people try for years to drink at every pub on the street in one night, but few are able to finish. Besides, if anyone were to finish the Golden Mile, they would most likely end up needing Intervention Support due to alcoholism. Let’s face it, if you can finish the Golden Mile, you obviously know your way around a bottle. In Ireland, pubs are the meeting point. While in other cities you go to cafes with friends, here you go to pubs. Alcohol in itself is a big part of Irish culture. This is where Guinness Stout, Irish Whiskey and Irish coffee are from. In Dublin you will find the brewery as well as the storehouse for both Guinness and Jameson’s Whiskey, and if you want you can take a tour there. Of course, they Irish put a dash of whiskey in their coffee too – and to be honest, I think it was a good idea. Oldest seafood restaurant, oldest pub, oldest fish n chip place, oldest church. Being the oldest or best in something is a big hit here, and the Dubliners are very proud of their heritage. Jonathan Swift, James Joyce and Oscar Wilde were all from Dublin. The historic library, Trinity College (where many famous writers studied) are great places to visit in Dublin to get some insight of the Irish literary. Compared to other places, you can also find a lot of food and drink that is “traditionally Irish”, which is great fun for the traveler. And best of all, it’s not a tourist act, it actually what the Irish people eat and drink as well. The first thing I noticed when arriving in Dublin were the bright colorful doors on every house, and the traditional architecture on the buildings. When Queen Victoria died, everyone was told to paint their doors black in mourning. In revolt, the Irish did the opposite and painted their doors in bright beautiful colors. The women painted their doors in different colors so that their drunken men wouldn’t miss it and walk into the wrong house. In my opinion, it could be either one! Irish music has a long history and is very important to the Irish people. The songs are like stories, and the music has a very special touch to it with violins. Irish music is plays at nearly every pub in town every night of the week, and really enhances the experience of the pub. What do you remember, like or dislike about the city? The number one attraction in Dublin with more than 750,000 visitors every year is the Guinness Storehouse tour, and there is good reason for this. The tour includes interactive exhibitions that explain the history of Guinness. Beginning with the ingredients and going through the whole process from brewing to marketing and sponsorships. Visitors can expect to see the historical building which has been continually upgraded starting with the Atrium. It is in the shape of a pint glass that rises seven storey’s which would hold 14.3 million pints of Guinness. One of the world’s best loved beers did not happen overnight. It took the effort and dedication along with inspiration and ingenuity for more than two centuries to achieve. Arthur Guinness had big dreams when he rented the St. James’s Gate brewery in 1759 for 9,000 years. He wanted something new and great to originate from Dublin with his name. He tried brewing Porter, a new popular drink, and was successful. His three sons continued the family business and helped the Guinness brewery become the largest in the world before the end of the 19th century. The company was opened on the London Stock Exchange. Guinness was being enjoyed in America, Africa, Australia and the Far East at that time and, with cooperation from local brewers, it became the world’s favorite beer. The Guinness Storehouse was opened in 2000, as a tourist attraction. It is located at the St. James’s Gate Brewery in Dublin, which was used as a fermentation plant. It was redesigned and renovated for the Guinness Storehouse. On the ground floor the four ingredients of the beer are introduced to visitors. These are water, hops, barley and yeast. The water is from Lady’s Well in the Wicklow Mountains and the barley is Irish-grown. There are exhibitions on the other floors about responsible drinking and the history of Guinness advertising. The Gravity Bar, a circular, glass sided room, is on the seventh floor and has spectacular 360 views of Dublin. A pint of Guinness is included with the price of admission. There is a new wing that has a live installation of the brewing process today. Visitors also learn how to pour the perfect pint. There are six steps which include the glass, the tilt of the glass and the settle. With a Pour Your Own Pint certificate, you can enjoy special treatment in any Irish pub. The Guinness Archive is the only corporate archive open to the public in Ireland. Visitors need to make an appointment. 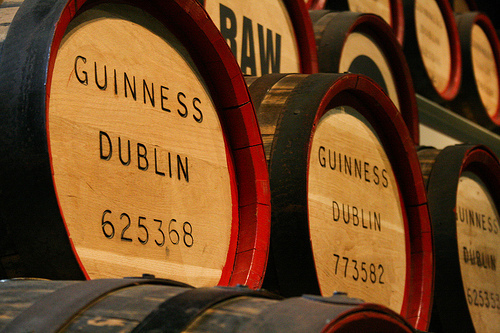 There are preserved records and artifacts connected with the Guinness brand since 1759. This includes thousands of photographs and video footage, microfiche copies of drawings and plans, employee records and other documentary material. It has the original lease signed by Arthur Guinness for 9,000 years on the St. James’s Gate Brewery. There are even barley grains that were taken from the tomb of Tutankhamum that are almost 3,500 years old. Visitors enjoy the tasty dishes created with Guinness at the restaurant and can get some of the recipes. From beef stew to chocolate mousse, the food is great. The Guinness Shop has trendy merchandise including personalized Guinness bottles, clothing and other treats and memorabilia. Ireland’s often stereo typically associated with charming banter and hilarious wordplay, with Irish comedians like Dara O Briain, Spike Milligan and far more being some of the world’s favorite jokers. In fact, the country as a whole has always stood out when it comes to language, with authors like Joyce and Swift, poets like Yeats and Heaney, and playwrights like Beckett and Wilde all standing right at the top of their fields. One of the most interesting places in the history of Ireland’s loquacious literature is the Blarney Castle. Standing just a few miles outside of Cork, the castle’s particularly well known for a stone placed in its battlements. For centuries, this Blarney Stone has been famed for its ability to give those who kiss it the ‘gift of the gab’. The Gift of the Gab is essentially the ability to win people over with words, whether it’s convincing them that you’re right about an argument, being able to explain yourself better or practically anything else. Definitely handy when it comes to writing blogs. I ended up flying into Cork the other day, so I decided to check out the Blarney Castle for myself. Staying near the airport at the Travelodge Cork hotel to save a bit on my stay, it did take a while to actually get into the pickup point near St Patrick’s bridge, but once the tour was underway, that wasn’t a problem. I’d booked a day trip with Paddywagon Tours (maybe a bit stereotypical, but definitely informative and fun), setting off at 9:30 am for a trip around Blarney Castle along with a few other destinations. We stopped off at the historic town of Cobh, a major destination for those emigrating to America (in fact, the last stop that Titanic took before its fateful journey). Some impressive views of everything from the natural harbor to more historic areas. After that, it was straight on to Blarney Castle. The castle is scenically located in the middle of some gorgeous gardens, right by a stream. I’m a big fan of nature, so I took a bit of time to explore the Blarney Gardens. With everything ranging from a garden of poisonous plants (kept safely behind cages) to Ireland’s natural trees and bogs, there’s a whole lot to see around the area. Stepping into the castle itself, I started to check out a bit of the history. From dungeons and magic stones to historic hidden passages for escapes, there’s a surprising amount to see around the castle. The Blarney Stone itself is placed right in the battlements of the castle, so I had to support myself and lean backwards to kiss the famous stone (thankfully they’ve added protective railings since the 15th century, so there’s nothing to fear). I’m not entirely convinced by the magical powers of the Blarney Stone (but then again, it didn’t try talking to me), but the castle’s an interesting enough place that I’d really recommend taking a tour around. Before heading back to my cheap Travelodge Cork hotel for the night, I made sure to have a look around some of the natural sights that the city of Cork itself had to offer. Right by the River Lee, the Fitzgerald Park made for the perfect place to sit down for a while and watch the world going past. With some gorgeous flower arrangements and architectural features, I’d definitely recommend heading to the park if you’re looking for somewhere to relax around the city. Dublin is the beautiful capital city of Ireland, famed for its Guinness brewery, bustling bars around Temple Street and array of shops. I’ve been to Dublin a couple of times now, after finding many cheap flights on and below is a guide to what I think you should know before heading to the city yourself. Dublin Airport lies around 8 miles from the south-west of the city, making it just a 20-minute drive away. When I was there, I didn’t hire a car, but I can certainly see the appeal of it. Despite the airport being such a short distance away, my bus dropped off and picked up loads of other holidaymakers to and from their hotels, meaning the journey between the airport and city took a lot longer than I expected. This meant I felt a bit rushed on my final day, whereas if I’d had a car I could have jumped in that and been at the airport in less than half an hour. While there is nothing wrong with spending your days shopping in style, or soaking up the atmosphere of its bars and pubs, booking car hire from Dublin Airport means you can travel out of the city’s limits and take in breathtaking countryside, as well as some of the lesser-known attractions. If you do decide to hire a car at the airport, you are well placed to discover what lies on the outskirts of Dublin, before heading into the city itself – it is nearer to the coast than you might think. The seaside town of Rush is around 16 miles away from the capital and offers stunning scenery, lovely beaches and a harbor filled with small fishing vessels. Howth Village is also worth driving to (and is just 5 miles away from the airport) and your efforts will be rewarded with charming bars and restaurants, pretty vistas and towers and castles that are itching to be explored. Should you be driving into the city center, you’ll obviously want accommodation that comes with guest parking or nearby spaces. 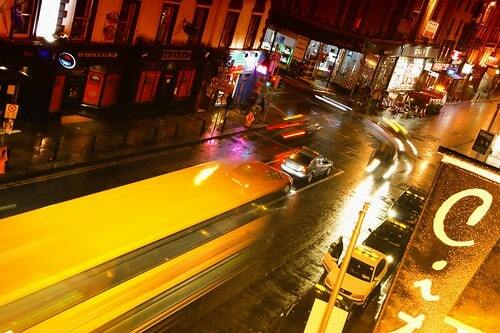 That aside, Dublin boasts a fantastic array of places to sleep, from cheap and cheerful hostels to luxurious hotels. This means you will find something to match your budget. If you choose to stay in the popular Temple Bar area, be prepared to pay that little bit extra for the convenience of being central. Choosing accommodation a little bit further out – such as in Lucan, Donnybrook or Sutton. Will help push the cost down, but don’t worry, as you’ll still be well-connected to the center. Alternatively, you might decide to stay in a hotel close to the airport (after all, it’s only a short drive from the centre). This has a number of benefits, such as making catching your flight easier. Many, but not all, restaurants in Dublin include a ten to 15 per cent service charge on the bill, while a discretionary ten percent tip is usually given to taxi drivers – it’s always nice to reward good service. The Irish are very friendly and polite, and good manners go a long way here. This means queuing nicely, always saying thank you and apologizing if you bump into someone in the street. You’ll find locals will more often than not chat to you in bars, so don’t be afraid of getting into a conversation. Ireland is a religious nation, so when in places of worship such as churches, make sure you are quiet, respectful and keep those mobile phones switched off! Ah, Dublin, sweet Dublin. No finer a city has there been. As the capital city of Ireland, Dublin remarks proudly to her visitors its history, beautiful landscapes and curious stories of old which keep the people and communities of Ireland intertwined, culturally vibrant and unforgettably beautiful. This place of old is an inspiration of favored accommodations of scenic mastery and a hardy people whose outlook on life and approach to living are admirably inviting. Families, singles and even honeymooners find it hard to resist the allure of Dublin’s cooler climates, many landmarks, eateries and higher education. All of these and more can be discovered in the months of March, April and any month of the year! Finding the perfect niche in this cultural city comes easily, especially with the famous luck o’ the Irish. Everybody loves a good luck charm. The beautiful city of Dublin grants existentially famous good luck through the ever-popular love of the four leaf clover, as well as through fabulously superfluous pots-of-gold-hot-spots and festive activities strewn about the town. Stepping lively is the name of the game where excitement, community involvement and personal enrichment throw its arms around the entire city letting the good times really roll. Explore sports events, festivals, music, shopping, nightlife and plenty of Irish jigs. Get ready to discover many of the wonders of Dublin over a pint, a hearty collage of cabbage and bacon or a freshly caught Dublin Lawyer seafood bowl. Here is a list of upcoming things to do in Dublin. St. Patrick’s Day is right around the corner where the fun has only just begun! Watch Dublin’s streets light up with spectacular flair as Ireland’s leading pageant companies and marching bands present only the finest in authentic Irish entertainment. HOW? WHAT? WHY? is the theme for the 2012 St. Patrick’s Festival Parade which will open up fascinating wonders of science. Children will find this particularly interesting as Ireland’s leading pageant companies present insightful and thought provoking creations. Amazing Irish street art collections and entertainment come alive in the heart of Georgian Dublin for all the entire family. Creative open air shows and performances will be presented by leading professional street theater artists around Merrion Square Park. Enjoy the capital city’s largest annual festival of the year during the days surrounding St. Patrick’s Day. Experience a fun and family-friendly, free treasure hunt event incorporating a collection of Dublin’s venues and institutions. Participants can discover and solve awaiting clues while absorbing Dublin’s rich history and competing for prizes along the way. Enjoy incredible cuisine using special promotional rates of a 20% saving on á la carte prices. Each evening customers will peruse a special ‘Dine in Dublin’ menu comprised of mouthwatering selections of appetizers, entrees, desserts, tea and coffee. Annual Dublin University Boat Races contest between local rivals Trinity College Dublin and University College Dublin. The senior men’s race, the Gannon Cup, will be contested at 10am. The people are easy going people like in small towns, but the variety of nightlife is just as good as in cosmopolitan cities. There are many great hotels in Dublin, and you can easily spend a week here strolling around, talking to people and enjoying the ‘happenings’ in town, as there are heaps of events going on. 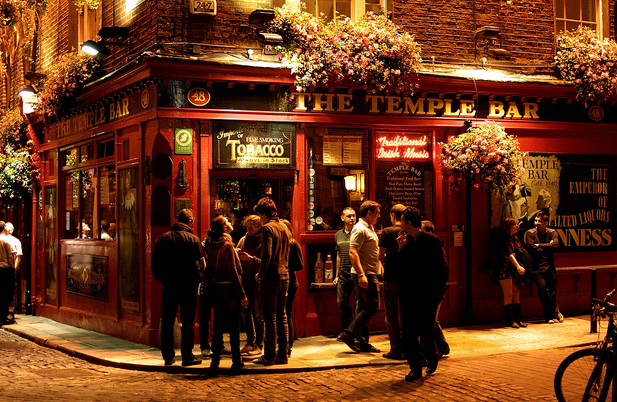 There are many things to do in Dublin, both for those who enjoy pub culture as well as literature and history. Dublin is a fairly small city, which makes it perfect for sightseeing. You rarely need to take the bus or “luas” (tram), but if you want to take it they run frequently and are cheap. Pub crawl is very popular in Dublin, but you don’t have to do it with an organized tourist group. Bring a picnic or buy some takeaway food, join the locals down in St Patrick’s park and watch time fly by on the clock of the beautiful St Patricks church. Jamesons Distillery which produces the Irish Whiskey also has tours for visitors, and they cost around 13 Euro. It’s a beautiful college with amazing buildings, and there is an old library (where you’ll find the book of Kells) and a sports arena where they often have games. These guys have oldest place in town. This restaurant have a really cool interior designs a la 50’s style, with a juke box and everything – who doesn’t want to have their burger in the 50’s?! If you need some cheap clothes Penny’s is where you should be headed. It has really nice clothes for a good deal. Toiletries, drinks, candy, underwear, can food etc. It’s all found here, and often for a quarter of the price. The Burren or Great Rock, is one of the largest karst regions in Europe at 250 square kilometers. Karst landforms have many different attributes and The Burren is very unique. It consists of rolling hills of limestone with cracks or grikes that break up the pavement into remote rocks called clints. The uniqueness of the environment supports flora from arctic, alpine and Mediterranean regions – an interesting combination. The limestone pavement was originally sediment from a tropical sea about 350 million years ago. There are fossils of sea urchins, corals, ammonites and crinoids in this fascinating place. Tectonic movement raised the ancient seabed to become this stunning plateau. It may, just after the Ice Age, have been covered with trees, but the early settlers cut down the forests and the soil eroded away. This is common to other karst areas in the world. There is a vast network of underground caves and rivers that may be explored by experts. They flood quickly when it rains and are not for tourists or amateurs. But Aillwee cave, which is near Ballyvaghan, are an easy alternative that visitors are welcome to explore and enjoy. Aillwee cave is one of the oldest caves in Ireland, featuring underground rivers, waterfalls, remains of bears, and some stalagmites and stalactites. Another cave, the Pol an Ionain cave, which is nearby, is a bit difficult to explore because it has a place where people need to crawl in water through a stone hole. But the vast chamber at the end of the crawl makes any discomfort totally worth it. It contains a huge stalactite that is 6.7 metres long and quite possibly the largest stalactite in the world..! The Burren National Park is Ireland’s smallest national park. A barren and majestic place, it has been called “Fertile Rock” because of the abundance of herbs and flowers that grow in the giant cracks. The national park is in the south eastern corner of The Burren and contains all the habitats including lakes, petrifying springs, limestone pavement, hazel scrub, calcareous grassland, ash and hazel woodland, cliffs, turloughs and fens. The fascinating natural environment is not all The Burren has to offer. Humans have lived in this harsh environment since the Stone Age and there is evidence to prove it. There are cahers (stone ringforts) where the farmers of long ago lived, wedge tombs and huge dolmens still to be seen. There are also medieval churches, monasteries and castles in the area, indicating later periods of settlements. Water used on The Burren comes from springs and wells. The Killeany spring which is near Lisdoonvarna supplies water for a large area. The town of Ballyvaghan, where tourists visit, gets its water from mountain springs and a bore well. Corofin is a village on the edge of The Burren and the national park. It is a good place from which to begin a visit to The Burren. It gets its water from Lough Inchiquin, a lake that is fed by the springs. On the south western edge of The Burren are the Cliffs of Moher. They face the Atlantic Ocean at 214 metres at the highest place. They are A UNESCO GeoPark and offer spectacular views of the Loop Head in the southern area, the Aran Islands, the Twelve Pins, Galway Bay and the Maum Turk Mountains. Thousands of sea birds nest on the cliffs and the area is a Special Protection Area as well as 200 metres of open water for the bird’s feeding area. The Burren and Cliffs of Moher offer spectacular natural scenery as well as fascinating geology and archaeology for thousands of visitors from around the world. Visitors participate in Ecotourism and responsible travel to enjoy and appreciate the natural environment and leave no trace that they were there. oh dublin sounds SO wonderful! thanks for this guide, it really inspires me to want to visit there even more! Thanks for this great list of things to do, see, eat and drink while in Dublin! I am not a fan of whiskey but would definitely take a tour about it and drink it while in Ireland. How could you not?